Despite that time it exposed a restaurant selling Popeye's chicken as its own, people love to knock Yelp. Many go so far as to say that you're better off without it, but a new feature was just rolled out that just might change your mind. 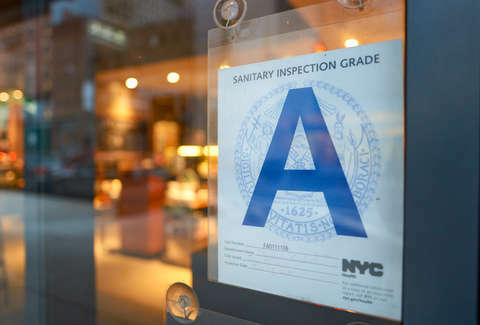 Yelp will now display restaurant hygiene scores along with the screeds of outraged octogenarians and the poorly lit pictures you've come to expect from the service. Starting now, it's available in California, Illinois, New York, Texas, and Washington, DC, but other states will be getting the feature soon. You'll see the info displayed as a Health Score, with a point system out of 100. Once you click that, you'll get information on when the restaurant was last inspected and how many violations it received. If you're on the desktop version, you'll be able to hover over the violations and get more specific information (e.g., "Wiping cloths soiled or not stored in sanitizing solution). This part of the rollout of Yelp's LIVES (Local Inspector Value-Entry Specification), which uses a special system built by HDScores (a search engine for restaurant inspection reports that covers 42 states). The feature has been in development for roughly three years, but with this rollout will make information about inspections far more available to the consumer. This information is public, but "is often buried on clunky 'dot gov' websites beyond the easy reach of consumers. Or equally inconvenient, it's accessible in the offline world, displayed somewhere in the physical business, and not always obvious to the diner," according to a blog post by Luther Lowe, Yelp's SVP of public policy. HDScores points out that different rating methodologies for different cities mean that these numbers won't work for "absolute comparisons," but they'll definitely make it easier to figure out which places are charmingly divey and which places you should avoid at all costs. At certain spots, though, it's probably better just to live in blissful ignorance.